Pick you up from your cruise terminal by our private English speaking guide, who will hold your name sign for you to recognize. First visit the Oriental Pearl TV Tower, the highest TV Tower in Asia, offering amzaing view of Huangpu River and the city. Then go to appreciate the beautiful classic garden-Yu Garden. Move on to the city center to see People’s Square, the symbolic attraction there. 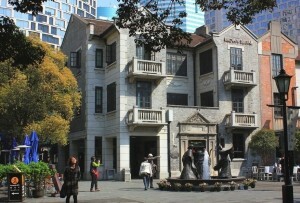 Then stroll on the Bund and you will be impressed by the high foreign style buildings of the city’s clonial period. Embark on a one-hour cruising on the Huangpu River, a must for first time visitors to enjoy the city views on both sides of the river. Finally come to the city’s busiest shopping street-Nanjing Road for some shoppping. Drive to the famous Zhujiajiao water town for a visit. Located in a suburb of Shanghai city, the thousand-year-old old town featurs, bridges, old streets, Ming and Qing Danasty houses and gardens. A pleasant boat cruise is included. Drive back downtown to visit Xintiandi. It is the liveliest entertainment area in the city, where you will see a perfect integration of traditional Shanghai Shikumen houses with modern bars, cafes, restaurants, and stores. Be transferred back to your cruise terminal afterwards.